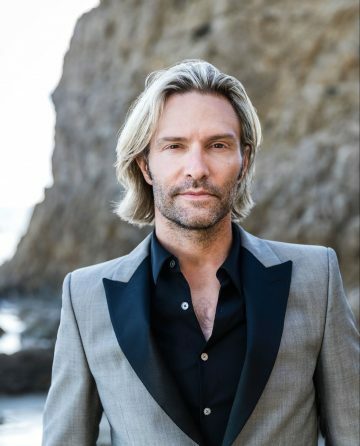 Grammy-winning composer and conductor Eric Whitacre is one of the most popular musicians of our time. His concert music has been performed throughout the world by millions of amateur and professional musicians alike, while his ground-breaking Virtual Choirs have united singers from over 120 different countries. A graduate of the prestigious Juilliard School of Music, Eric was appointed Artist in Residence with the Los Angeles Master Chorale having completed a five-year term as Composer in Residence at Sidney Sussex College, Cambridge University, UK. As conductor of the Eric Whitacre Singers he has released several chart-topping albums including 2010’s bestselling Light and Gold. A sought-after guest conductor, Eric has conducted choral and instrumental concerts around the globe, including sold-out concerts with the London Symphony Orchestra, Royal Philharmonic Orchestra and the Minnesota Orchestra. In addition to several collaborations with legendary Hollywood composer Hans Zimmer (Pirates of the Caribbean 4), he has worked with pop icons Laura Mvula, Imogen Heap and Annie Lennox. Follow Eric on social media or visit ericwhitacre.com for more information. 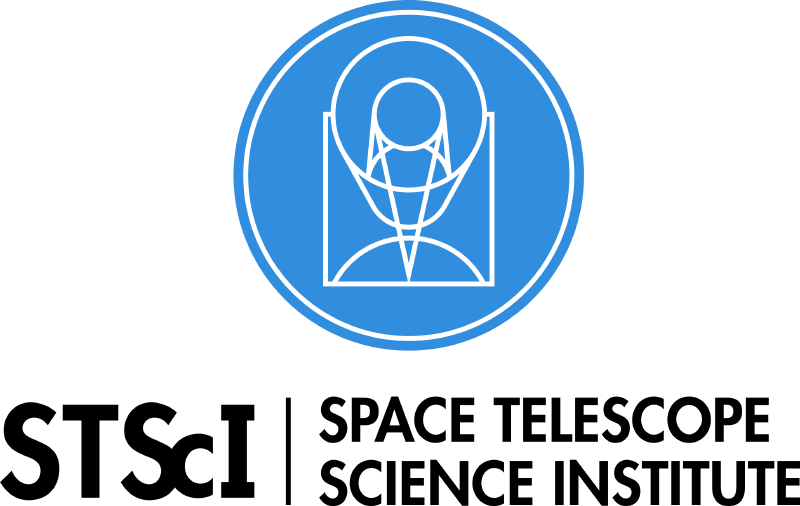 Founded in 1982, the Space Telescope Science Institue (STScI) has helped guide the most famous observatory in history, the Hubble Space Telescope. Since its launch in 1990, it has performed the science operations for Hubble. It also leads the science and mission operations for the James Webb Space Telescope (JWST), planned to launch in 2020. It will perform parts of the science operations for the Wide Field Infrared Survey Telescope (WFIRST), in formulation for launch in the mid-2020s, and is partner on several other NASA missions. Its staff conducts world-class scientific research; its Barbara A. Mikulski Archive for Space Telescopes (MAST) curates and disseminates data from over 20 astronomical missions; and it brings science to the world through internationally recognized news, education, and public outreach programs. STScI values its diverse workforce and civility in the workplace, and seeks to be an example for others to follow. Led by directors Leo Warner, Mark Grimmer, Lysander Ashton and Richard Slaney, 59 Productions offers world-leading expertise in design for stage and live events. Their work exists at the nexus between technology and art, and the company has become the go-to team for generating creative and technical ideas to realize ambitious artistic projects across a range of disciplines: from architectural projection-mapping to exhibition design, VR experiences to events, theatrical design to technical consultancy. Exhibitions and installations feature prominently in the company’s recent roster of commissions, including the design and creative direction of David Bowie is, the record-breaking exhibition seen by more than 1.8 million people on its international 10-stop tour; twentieth anniversary celebrations for Guggenheim Museum Bilbao; and a bespoke projection-mapping event to mark the re-opening of the Smithsonian’s museums of Asian Art in Washington. In February 2018, 59 Productions opened the Ecsite Award-winning permanent exhibition, Made in Space, at the Tycho Brahe Planetarium, Denmark’s most advanced centre for popular astronomy and space research. The installation was designed and built by 59 Productions creating a seamless correspondence between the physical space and the cutting-edge interactive and immersive technologies. Sincere thanks to our partners that have helped to make Deep Field possible. Boosey & Hawkes is the world’s leading publisher of contemporary classical music, with a blue chip catalogue of 20th-century masters including Bartók, Bernstein, Britten, Copland, Prokofieff, Strauss and Stravinsky alongside an eminent front list of composers that includes John Adams, Louis Andriessen, Harrison Birtwistle, Unsuk Chin, Brett Dean, Detlev Glanert, Osvaldo Golijov, HK Gruber, Karl Jenkins, Magnus Lindberg, James MacMillan, Steve Reich and Mark-Anthony Turnage. The company has offices in London, New York and Berlin and a network of agents around the world. Boosey & Hawkes is part of Concord Music, the worldwide leader in the development, acquisition and management of recorded music, music publishing, and theatrical performance rights. Hal Leonard Corporation is the world’s largest educational music publisher, with the #1 methods for learning guitar (the Hal Leonard Guitar Method), piano (the Faber Piano Method), and school music instruments (Essential Elements for Band and Strings), plus publications for learning virtually every instrument imaginable. Hal Leonard also publishes and distributes thousands of works for school, church and community choirs at all levels. In its catalog of more than 220,000 available titles, Hal Leonard represents many of the world’s best known and most respected publishers, artists, songwriters, arrangers and musical instrument manufacturers. Its products are sold in more than 65 countries throughout the world through Hal Leonard offices and a large network of distributors. Founded in 2007 by Iris Derke and Jonathan Griffith, DCINY gave its first public concert in January 2008. DCINY is a leading producer of dynamic musical entertainment performed in renowned American venues. Over 40,000 musicians and singers embodying 44 countries and all 50 US states have participated in DCINY productions. Since its inception, DCINY has produced over 200 concerts and 17 world premieres, performing to over 200,000 people. With its unforgettable, world-class concert experiences, empowering educational programs, and its global community of artists and audiences, DCINY changes lives through the power of music performance. DCINY commemorates its 10th Anniversary season in 2018. The Dunard Fund is a generous, creative and strategically-minded philanthropic organization that makes donations principally for the training and performance of classical music at the highest standard, the education and display of visual arts at an international standard and the rehabilitation of endangered architectural masterpieces and the design and construction of new architectural masterpieces. The Leigh Bureau is very proud to exclusively represent Eric Whitacre for his speaking engagements and to be a sponsor of Virtual Choir 5: Deep Field. Since 1929, the Leigh Bureau has been serving business and sophisticated cultural audiences around the world with world-class speakers and with presentations of substance. Eric Whitacre is just such a client and VC5 is just such a program. It is a privilege to be a part of this extraordinary event. Bringing real value to our audiences is the Leigh Bureau’s mission and we look forward to seeing where Eric’s creative imagination takes him next. Primephonic is a new music streaming service that serves the needs of classical music lovers worldwide. Classical music listeners have long been under served by current streaming services, whose platforms are not designed to support the unique qualities and complexities of the genre. Primephonic solves classical music’s streaming problem by offering a revolutionary search function compatible with classical music’s multiple search parameters; high resolution audio quality (up to 24-bit FLAC); in-depth background information and dynamic content; and many more innovative features. Primephonic’s ever-expanding catalogue features nearly all classical music ever recorded, with over 1 million classical music tracks, including catalogues from major labels Warner Classics, Sony Classical, Universal Music Classics, Decca, Deutsche Grammophon and EMI, as well as over 400 additional labels worldwide. Primephonic users can seamlessly find background information on the works, composers and artists; discover new works through customized recommendations; instantly compare multiple recordings of their favorite works and connect globally with like minded classical music lovers. Primephonic is currently available in the U.S., The Netherlands, and the UK. Walton Music, a leading publisher of choral music, has been bringing high-quality editions to the choral community since 1950. Their catalog is recognized for both its commitment to providing the best new literature from a diverse range of sources as well as its preservation of the classics. Editions in the catalog include music from such noted composers as Eric Whitacre, Ola Gjeilo, and Norman Luboff. Founded in 1876, J.W. Pepper & Son, Inc. is the largest sheet music retailer in the world, celebrating over 140 years of customer service and devotion to music and music education. In addition to providing music accessories, various music software products, and music for state contests and music festivals, Pepper also offers choral, band, orchestra, church, classroom, instrumental, piano, and vocal music to directors, teachers, and other professional musicians around the world. The company provides its products and services through its 12 stores across the U.S. and online.